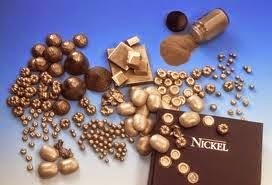 It has been a good year so far for Nickel. Indonesia banning the exports of unprocessed nickel ore and bauxite in January this year has helped the metal price to surge. The price on the London Metal Exchange is up 34 per cent so far this year. The domestic nickel futures contract traded on the Multi Commodity Exchange (MCX) that moves in tandem with the global price is also up 34 per cent over the same period. This uptrend remains intact. So, traders with a short- and medium-term perspective can consider taking long position in this contract. Short-term view: The MCX-nickel futures contract is consolidating sideways between ₹1,110 and ₹1,175 a kg over the last few weeks. A breakout on either side of this range will decide the next leg of move for the contract. Within the range, the contract is now moving higher from the lower end of this range in the last two weeks. This leaves open the possibility of a rise towards ₹1,175, the upper end of this range in the coming days. Since the preceding trend is up, the bias is bullish. The contract can witness a strong break and rise above ₹1,175 in the coming days. Such a break can take the contract higher to ₹1,220 in the short-term. Traders with a short-term perspective can initiate fresh long position now. Stop-loss can be kept at ₹1,005 for the target of ₹1,210. The short-term outlook will turn bearish only if the contract records a decisive break below ₹1,110. But such a break looks less probable because the ₹1,110 level is a strong support. Both the 21-week and the 100-day moving average levels are poised at this level. So declines below ₹1,110 might not be very easy at the moment. However, if the contract falls below ₹1,110 then it can fall to ₹1,080 in the short-term. 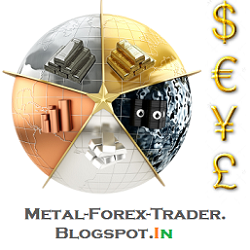 Medium-term view: The medium-term outlook for the MCX-nickel futures contract is bullish. The sharp fall in the contract from the high of ₹1,280 recorded in May has reversed in June from the low of ₹1,047.3. Technically, this reversal has happened from just below the 50 per cent Fibonacci retracement support level of ₹1,050. This keeps the overall uptrend that began in January intact. Resistance for the contract is at ₹1,225. A strong break above this level will open the doors for a rally to ₹1,300 over the medium-term. So traders with a medium-term perspective can hold the long position with a slightly wider stop-loss at ₹1,090 for the target of ₹1,280. The psychological level of ₹1,100 will be a key support for the contract now. A strong break below this level will negate the chances of an immediate rise to ₹1,300 and can drag the contract lower to ₹1,050 instead.